By David Ponce on 01/27/15 • Leave a comment! Last summer we told you about the Coolest Cooler, a smart cooler that integrated so many extra features that it went on to become the most successful crowd funded project of all time ($13.2M pledged!). 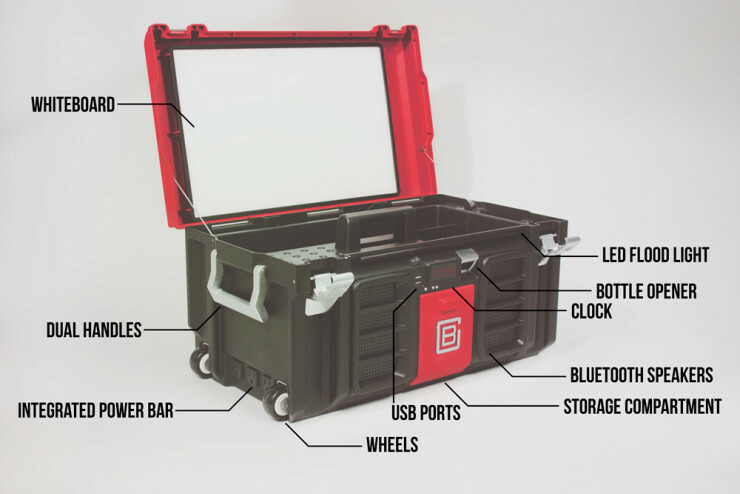 Its existence seems to have inspired the Coolbox, a toolbox with a suite of features you might be interested in. They include: “a 12v rechargeable battery, two USB ports, 270-degree LED lighting, a 10-foot extension cord with three built-in plugs and an iPad stand. The box also has a Bluetooth speaker.” The lid is magnetic, there’s a powerbar, and even a whiteboard on the inside of the lid. And of course, there’s enough room to accommodate your power tools. The entire thing will set you back $179, with expected delivery in June 2015. We have spent the last decade seeing once independent devices slowly converge into one; the calculator, altimeter, telephone, music player, handheld gaming device, digital camera, and more were once standalone products. 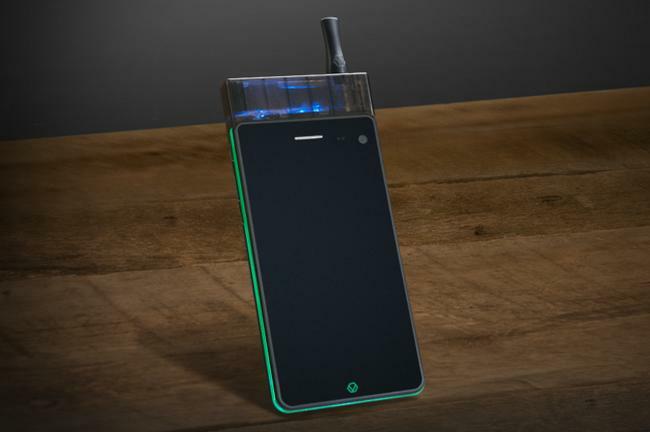 They are now just a part of a smartphone. Well, it’s conceivable that the same thing could happen with our home appliances, and the first few steps in that direction can be seen in GE’s new Café French Door refrigerator. It looks just about the same as a regular fridge, but comes with an integrated Keurig brewer in the door. 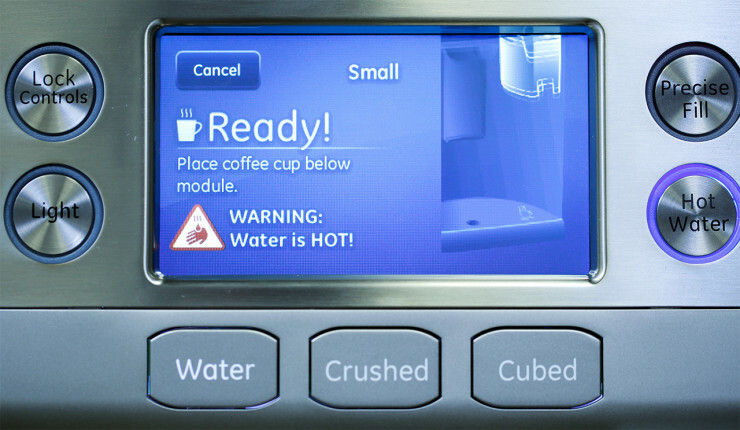 Simply pop a K-cup into the receptacle, and the LCD touchscreen will present you with the familiar brewing options that the standalone machines normally give you. A minute later and voila, fresh brewed coffee! 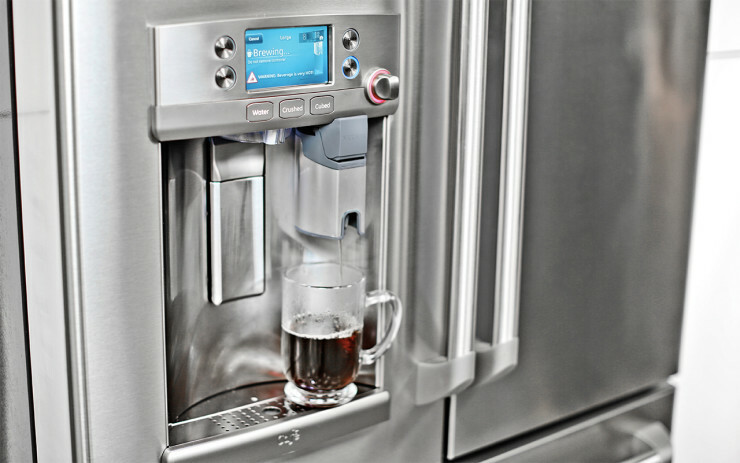 GE’s connected fridge also allows you to set brewing times through an application, so that water can be pre-heated the moment you wake up, ready to infuse your morning brew without a moment’s wait. 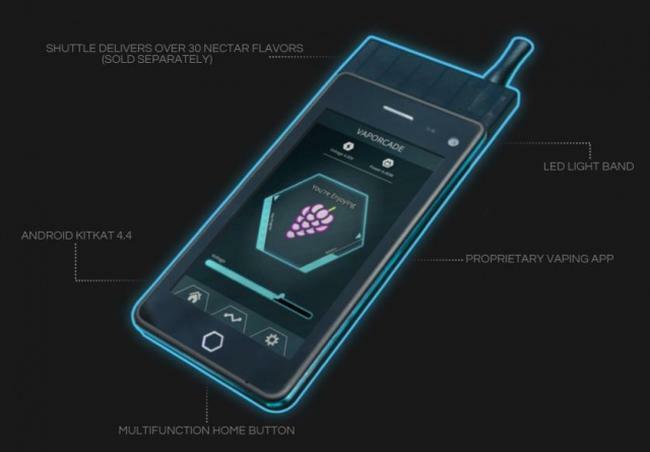 Seeing as fridges also already make ice, it’s tempting to imagine a future where they also gain something like microwave capabilities. Heck, we can even envision a fridge with a toaster… Or maybe we’re just getting carried away. In any case, the Café French Door refrigerator will go for $3,300 and be available around Fall.